FANTASTIC NEWS! Edmondstown has once again been awarded the DPSM Plaque of STEM Excellence 2018. Check out all our work under the tabs below. Congratulations to all the teachers and children for their enthusiasm and hard work. 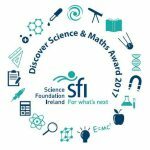 We are delighted to announce that Edmondstown NS received its first DPSM Plaque of STEM Excellence Award in 2016/17! We are once again striving for this award and throughout 2017/2018 we have worked really hard. We were required to engage in extensive work in the areas of Science, Technology, Engineering and Maths. All four class groupings got involved, with an emphasis on hands-on work. The highlight of the year was our Science Fair on Wednesday, April 25th 2018. Pupils from each class enjoyed explaining experiments to pupils from other classes, as well as to visitors such as parents. A ‘Log of Evidence’ was compiled showcasing the variety of STEM activity in our school. Well done to all the pupils involved, as well as their supportive teachers, for their excellent work. We are now waiting anxiously to hear how we got on. Fingers crossed everyone!! Check out our 2016/2017 activities in the archive.